Physicians Wealth Care was founded as a solution for doctors and other successful yet busy people who are always pressed for time in their professional and/or personal lives and who are looking for a trusted partner to help guide and tailor financial strategies to their unique needs. Who isn't tired of having to go to multiple sources—stockbrokers, insurance agents, attorneys, accountants, and/or other advisors—seeking guidance and then being left to their own devices in putting all the pieces of their financial puzzle together? Who doesn't have doubt or trepidation as to who really possess the knowledge, skill, and experience to be of help? In essence, you're looking for someone to partner with who truly will be the defender and protector of their financial well-being. We believe that irrespective of what happens in the investment/financial markets, the only economy that really matters is your personal economy and the safety and security of your own net worth. Although each client’s financial needs may be uniquely different, it was clear to us that every client sought guidance that was: independent, objective, competent, and confident. Given the complexity of the world from a financial perspective and the ever-changing state of the economy, many people are overwhelmed by the number and type of financial choices available to them. This led Maass to create the type of firm he believed was needed in a day and age of rushed, and in many instances, impersonal service. A firm that could help assemble all the financial pieces under one roof and where clients can turn to for knowledgeable, courteous, professional help—and in doing so feel comfortable and at ease. In the broadest possible sense, our goal and fiduciary duty is to be your advocate in every area of your financial life and to stand alongside you working hand in hand to make smart effective financial decisions which in turn can help provide financial confidence. 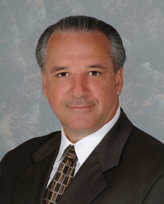 Edward H. Maass is the principal of Physicians Wealth Care and has been a trusted financial professional since 1982. He and his team are dedicated to working with clients on the "Three Circles of Wealth": Wealth Accumulation, Wealth Preservation, and Wealth Succession. Ed is listed by Medical Economics as "One of the Best 150 Financial Advisers for Doctors in the United States. "* Ed is a CERTIFIED FINANCIAL PLANNER™ practitioner, Chartered Financial Consultant® (ChFC®), and Chartered Life Underwriter® (CLU®). He also holds FINRA Series 6, 7, 24, and 63 securities registrations as an Investment Adviser Representative of Commonwealth Financial Network®, member FINRA, a Registered Investment Adviser, and is licensed in the areas of annuities, life, and health insurance.